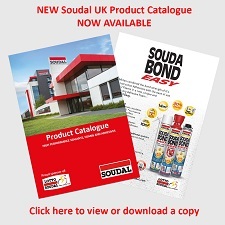 Proflex is strong in construction products for the windows market, complementary to Soudal’s Window System. In order to be fully integrated in the worldwide structure of the Soudal group, the name Proflex will evolve into Soudal Proflex AB. The takeover of the Proflex business includes all employees and assets and its current manager Mr. Håkan Blommé, will become the countrymanager of Soudal in Sweden. Silirub® and Genius Gun® foam.